One of the biggest germinal tragedies of Nigeria, as Chinua Achebe has pointed out in his The Trouble with Nigeria, is that Nigeria has never had the fortune to have a corps of far-sighted national leaders. We have not had our Mahatma Gandhi or Kwame Nkrumah, that is, transcendent national leaders that would symbolically embody our national aspirations. Even the seminal thoughts of our early so-called nationalists, Achebe pointed out, were characterized by what he called “a tendency to pious materialistic woolliness and self-centered pedestrianism.” They derived the social basis of their legitimacy by sharpening the striking edges of ethnicity and religious bigotry. And that, sadly, is the tradition that continues to define our politics to this day. Unfortunately, we worship the memories of these “nationalists,” and risk the wrath of millions of people if we dare as much as question their life and politics. Many Northerners think of Ahmadu Bello as an infallible saint, an unerring patron saint of the region’s values. Many Yorubas think of Obafemi Awolowo as God's representative on earth who was beyond reproach. And many Igbos think of Nnamdi Azikwe as a God-send, although to a lesser degree than Northerners and Yorubas idolize their regional heroes. But it was the originative divisive politics of these three politicians—and their minions— that has robbed Nigeria of a chance to cultivate a sense of nationhood. Their heirs continue with this tradition. And they're passing this virus to subsequent generations. Largely because of the nature of the politics of the First Republic, we have become fixated on regional and ethnic stereotypes. At every discursive arena that Nigerians congregate they can’t help regurgitating all the negative stereotypes we have assigned to ourselves. We still owe loyalties to our primeval ethnic identities at the expense of an overarching national identity. Of course, it was British colonialists who purposively structured our inter-ethnic relations in that way. They developed discursive strategies to encourage us to inhabit reconstructed indigenous cultures and identities aimed at furthering our cultural and ethnic differences. They thereby forced an idealized ideological content onto ethnic groups to sustain and even reconstruct “identities,” identities that were to be subservient to colonial rule but antagonistic to and unhealthily competitive with other Nigerian ethnicities. Then there is what I call expansionist ethnicity, which is also all-embracing but in a limited, horizontal way because it only seeks to incorporate what it perceives as its cultural, linguistic, and ethnic cousins. The Hausa ethnic identity is ecumenical because anybody can be Hausa provided he speaks the Hausa language with native proficiency, dresses like the Hausa, believes in and practices Islam, etc. An influential 1975 academic essay by Frank Salamone titled “Becoming Hausa: ethnic identity change and its implications for the study of ethnic pluralism and stratification” captures this phenomenon brilliantly. Most people who self-identify as “Hausa” today are not originally ethnically Hausa. I know a prominent professor of Hausa who became JAMB registrar whose father was from Zanzibar. 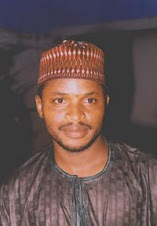 A former “Hausa” president from Katsina is descended from Tuareg (Buzu in Hausa) ancestors. The Yoruba ethnic identity is expansionist in that it seeks to attract and embrace all who share even the remotest cultural, linguistic, and ethnic similarities with it. There have been unsuccessful attempts, for instance, to bring Igalas of Kogi State and Itshekiris of Delta State into the Yoruba fold because of the similarities the languages share with what is now known as Yoruba. The Igbo ethnic identity is, also, to a large extent, expansionist, although in a less successful fashion than Yoruba. Attempts to encourage the Ikwerre of Rivers State and the Igboid groups in Delta State (many of whom trace their ancestral roots to Igala land in Kogi State) to buy into the idea of an overarching Igbo identity have not been very successful, perhaps because of the politically perilous situation of the Igbos in contemporary Nigeria consequent upon the lingering effects of the Civil War. Most other ethnicities in Nigeria—at least relative to the “big three”— are exclusionary. You are either in or you are out. If you’re not Berom, Ogoni, Bini, Tiv, Urhobo, Kuteb, etc. you can’t be one. Well, if we must make any progress in Nigeria, it is not simply enough that we should develop technologically; our leaders must also actively encourage and internalize a culture that promotes a national consciousness. And one of the best ways to do that is to give people a sense that their ethnicity, religion, etc. do not constitute barriers to their aspirations and quest for personal growth. As Malcolm X once pointed out, if you condemn a person on account of his race, ethnicity, or such other invariable attributes about which they have no control, you have condemned that person even before he was born. He called it the “worst crime that can ever be committed.” And I couldn’t agree more. This does not, in any way, suggest that we should give up our ethnicities, or that primordial alliances and mobilization are bad in and of themselves. The truth is that people generally tend to initiate and sustain relational encounters more easily with their kind than they do with “others.” And this is basically a consequence of a primal ease with the known, the familiar. You may call it a kind of involuntary, but sometimes benign, xenophobia. But as primordial boundaries dissolve with the relentless onslaught of globalization (not globalization in the sense of the merciless march of international finance capital) and other advances in human relations, these primal bondings are becoming irrelevant. That's why there are a million and one leaps of relational encounters across primordial boundaries, and people are realizing that most of the fears that drive them apart have no basis in reality. Of course, I know that it is reductionist, even simplistic, to expect that someday all human beings will cease to relate on the basis of primordial factors, but I'm positive that the more people relate, the more they will appreciate the superficiality and fluidity of the factors that separate them. As is by now evident, I strongly believe that there is merit in Nigeria remaining a united nation—but one that is founded on fairness, inclusion, equity, and equal opportunities for all. However, in light of the persistence and crescendo in the fight for Biafra, I support an amendment to the constitution to allow a referendum to determine whether people in the southeast want to remain a part of Nigeria.